Posted on February 26, 2010 by Jian Akiraceo. 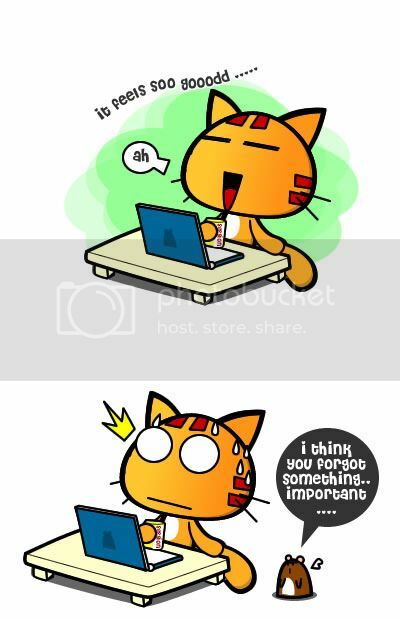 This entry was posted in Ofix and tagged comic, forgetful, miao, rubbish dumping, wafupafu. Bookmark the permalink. LOL.. so you went out empty handed eh? 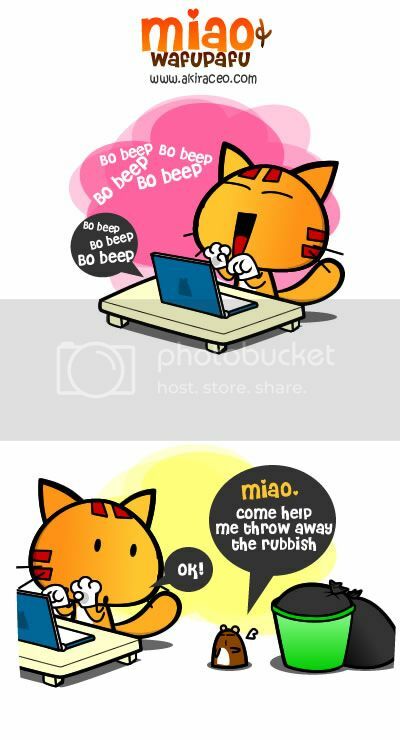 arrrr, why miao has to wear gloves when playing with lappie? is ur lappie dirty???? what are you doing? why got bo beep bo beep? gaming a? Hahaha its not a game..
staring tooo long at pc make us blur… me tooo.. 🙁 must boycott PC for .. ermm.. 1 day? lol sound just like me. Me too!!! Bo beep oh!